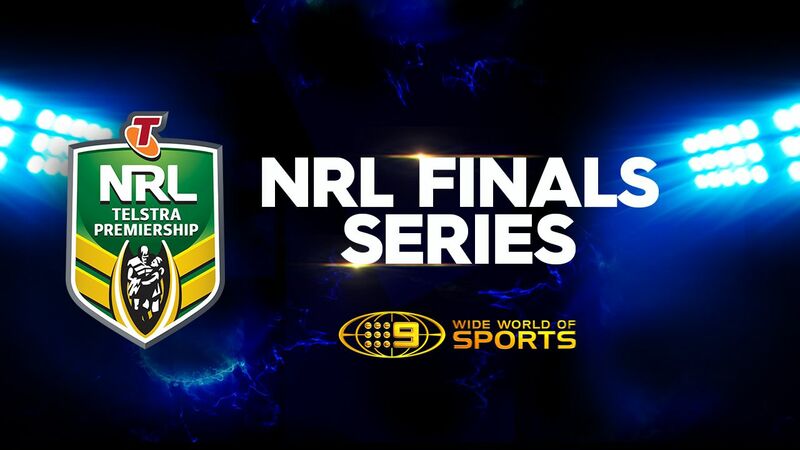 NRL Grand Final spots are on the line this weekend on Nine with two mouth-watering preliminary finals – Storm versus Broncos and Roosters versus Cowboys – LIVE and FREE on the Wide World of Sports. The Wide World of Sports coverage will feature the best commentary team in the game, led by “the voice of rugby league,” Ray “Rabs” Warren. Nine’s preliminary finals coverage starts tomorrow night at 7.30pm* with the Storm-Broncos grudge match at AAMI Park in Melbourne. Expert commentator and premiership-winning coach Phil Gould says the Storm will take some beating. “The brilliance of this Storm side lies in the simplicity of their play. They have a repertoire that revolves around Cameron Smith, Cooper Cronk and Billy Slater. It’s complemented by the X-factor from Cameron Munster, plus two brilliant wingers in Suliasi Vunivalu and Josh Addo-Carr who are so fast and deadly, all topped off with a big forward pack. “They love to start fast and play at a high intensity. They’re a hard-working, tradesman-like team that is very consistent, and what you’ve seen this season is what you’ll get again on Friday night. “However, I don’t believe their pack is as formidable as some say and I’ve seen other teams gain a lot of metres and create linebreaks in the middle around the Storm forwards. It’ll be interesting to see how the Broncos approach this match. On Saturday night from 7.00pm* at Sydney’s Allianz Stadium, Nine presents the second NRL preliminary final. The Roosters will face the Cowboys, who have lassoed their doubters and are continuing their amazing finals journey. Wide World of Sports’ rugby league expert, Peter Sterling, believes the Roosters hold the upper hand. “It’s been an outstanding finals series with basically all games being in the balance late in the contest, and I expect the Roosters-Cowboys clash will be no different. “I have no doubt that the weekend off will be a distinct advantage for the Roosters. However they have shown a propensity to struggle to play a full 80 minutes, something the Cowboys have excelled in during this finals series. “It was wonderful to see Jared Waerea-Hargreaves, who looks to be finding his best form, come out and not only challenge the Cowboys, but the colossal beast Jason Taumalolo himself. Sounding this challenge will have no doubt stirred Taumalolo, but sometimes you don’t exactly want what you’re calling for. “The Cowboys are looking to create history. They are the only team left in the competition who finished outside the top four, they have momentum and great belief, and they are very well coached by Paul Green, who ironically learned his trade under Roosters coach Trent Robinson. • SIX TACKLES WITH GUS – Nine’s James Bracey discusses the biggest rugby league issues of the week with NRL legend and expert commentator Phil Gould on Six Tackles with Gus. • THE NRL FOOTY SHOW – Tonight, September 21, at 8.30pm. Fatty Vautin, Erin Molan, Darryl Brohman and Beau Ryan are joined by Johnathan Thurston, Brad Fittler and Matt Cooper. Beau chats to Kingsman: The Golden Circle stars Halle Berry, Jeff Bridges, Julianne Moore, Pedro Pascal and Taron Egerton. JT and Fatty tackle the dark room challenge. • SPORTS SUNDAY – Sunday, September 24, at 10.00am. Frank and open debate on all the big issues in sport. Host Emma Freedman is joined by Candice Warner, Adam MacDougall, Neil Breen and Peter FitzSimons. • SUNDAY NRL FOOTY SHOW – Sunday, September 24, at 11.00am. Hosted by James Bracey alongside Andrew Johns, Darren Lockyer, Brad Fittler and Paul Gallen. Special guest is Melbourne Storm star fullback Billy Slater. • NRL GRAND FINAL – Sunday, October 1, from 11am*. EXCLUSIVELY LIVE and FREE on Nine’s Wide World of Sports. *Check local guides for details. Times will differ.